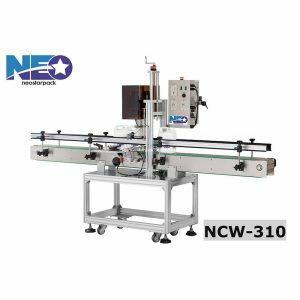 Neostarpack is going to Taipei international bakery show you the double-head liquid filler, automatic capper and semi-automatic round bottle labeller which are suitable for sticky and thick liquid,something like honey, cream and fruit jam etc. If you have any needs for the stuffing or labeling, we can help you! 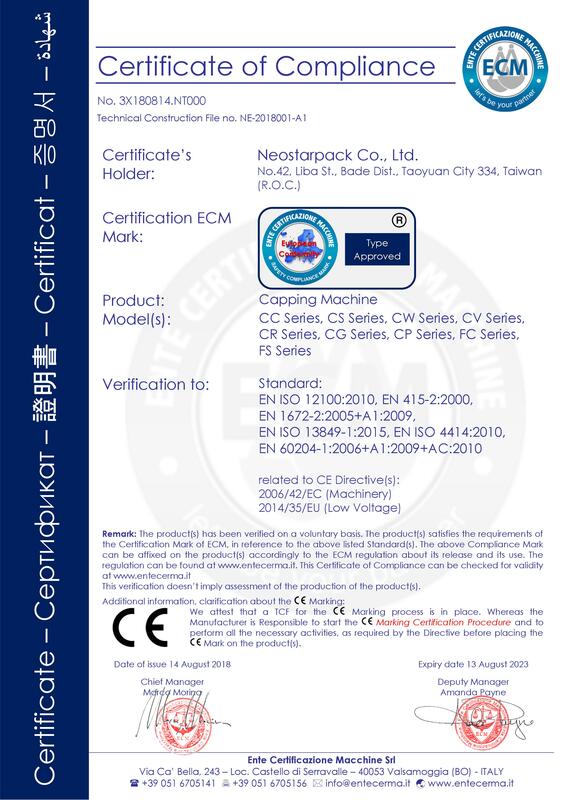 Most importantly, we can provide you the whole bottling and packaging solution.Welcome to Neostarpack stand, we will stay at the J530 by any time. For the customers’ need, we developed the new double-head filler that can easy to fill. 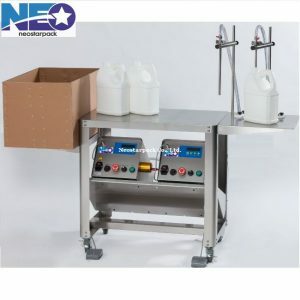 When you finish your filling process, you can take advantage of the platform to tight up the caps, then sticking the labels and put the bottles into the box on the left side. 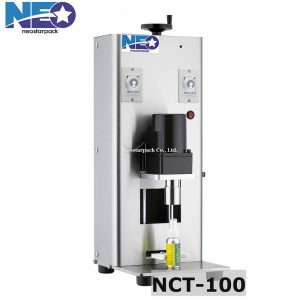 NCT-100 is a single-head desktop semi-automatic capper. 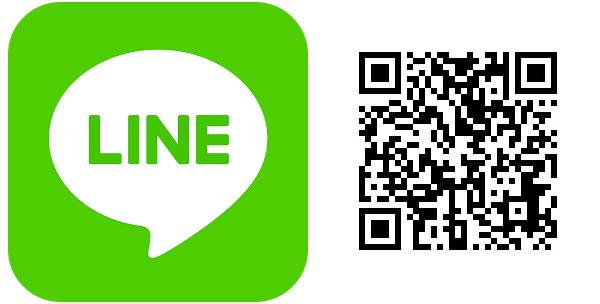 It is easy learning for a newbie and it only needs one operator. There has no limitation of space with small-sized design, and is provided for those who need to cap bottles around 20 bpm. It provides different applicators to be changed for switching different kinds of caps. Round bottle labeller is equipped with knob-controlled microcomputer. 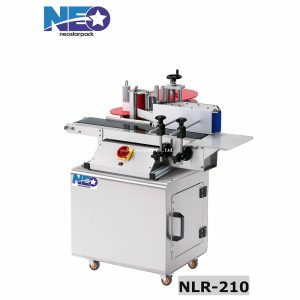 Tabletop round bottle labeler is suitable for Round bottles and Cylinders in both large and small volume, being able to use the label in types of fully wrap-around(360º), half wrap-around and front-and-back. One person can completely operate and adjust the whole machine easily and you don’t need too much space to place the machine. 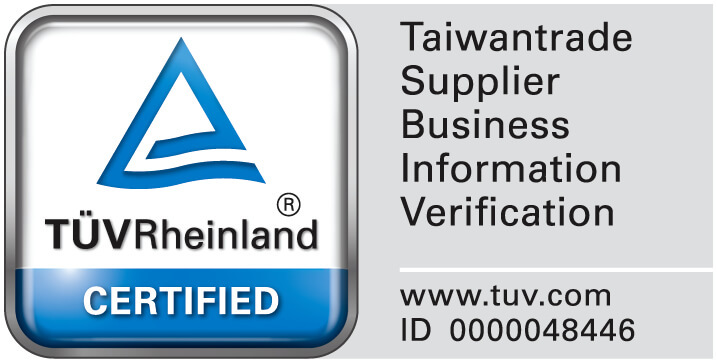 Not only you can lower the labor cost, but also meeting the high accuracy labeling. Indexing spindle capper mainly use the universal gripper, it is applicable for many screw caps. Besides, we adopt rubber material to make our gripping mechanism that can prevent damage from capping process and keep the surface of bottles intact. Our mechanism design is easy to learn and adjust.